Post-run snacks are an optimal time to refuel muscles and your body with fluids and more. Runners need to repair, restore and replete, and generally speaking, a combination of protein and carbohydrates are a winning combination that will help you avoid the post-run bonk. I personally like to do more of a mini-meal, as opposed to larger, more filling foods right after a run. While I’m not a calorie counter, most of these snacks are around 100 – 300 calories. I will ideally eat these within 30 minutes of finishing a run, and am also sure to drink lots of water to rehydrate. My daughter and I training for the Charlotte Marathon (I did the half, and she did a 5k). One or two hard boiled eggs and an orange. 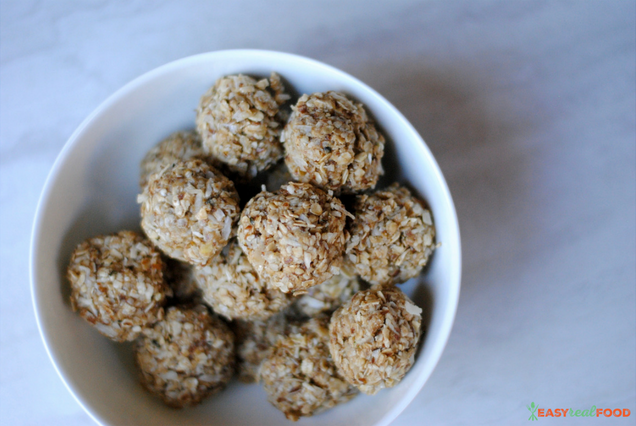 Perfectly portable, and a great combination of protein + vitamin c.
A handful of nuts with a few pretzels (GF if needed). This is my tried and true snack. I may just have this every day. A few times each day. 2 energy balls. True love. Careful – these are addicting, but so filling. A small bowl of cereal with berries. 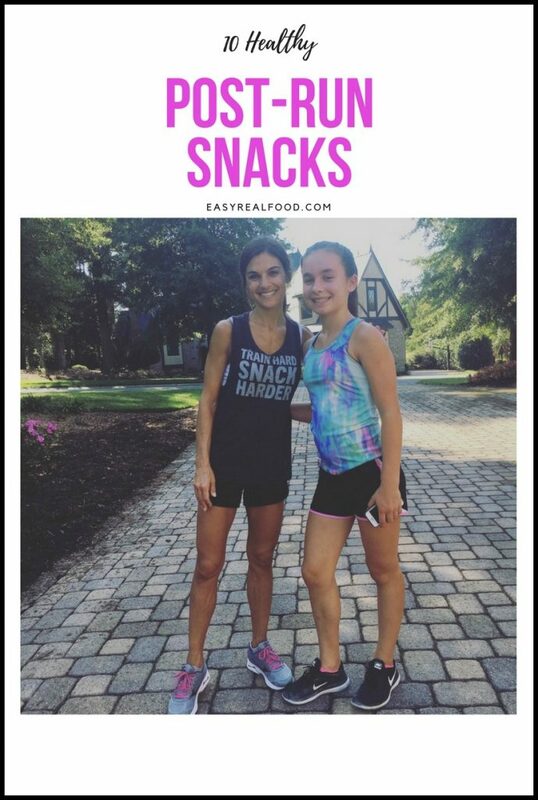 Obvs easier when you are at home, but this was a post-workout snack that my gymnast daughter came up with. I love that the berries are anti-inflammatory, which is ideal for post-run. 1 banana. Doesn’t get any easier than this! Take your nutrition to the next level by topping it with some nut butter; these little packs of almond butter are perfect for on-the-go (or on-the-road). Small bowl of oatmeal with berries. Another one of my teen’s creations that I’ve bought into. 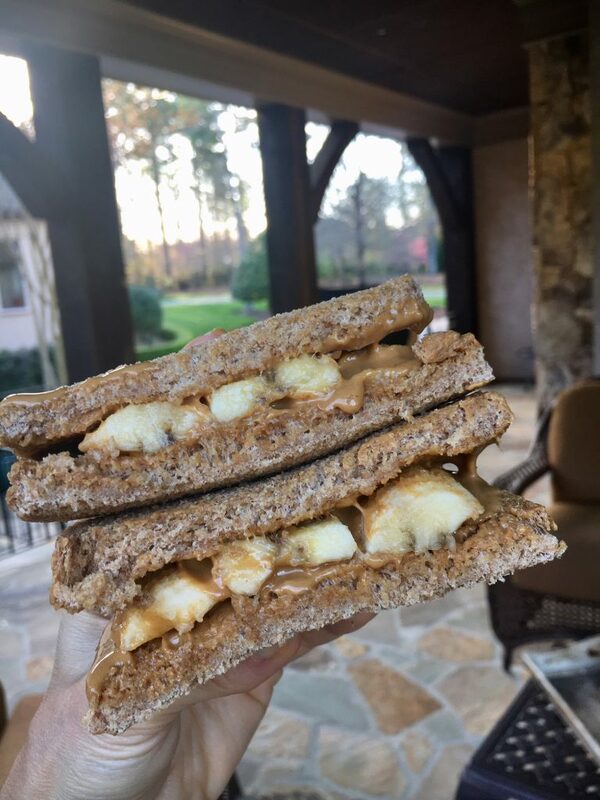 1/2 of a sandwich with nut butter + banana. I mean seriously. See that image below? Do you need any more convincing? An RX Bar , a Raw Crunch Bar or a Go Macro Bar. These are some of my favorite bars as they have clean ingredients. I love that RX Bars have that pop of protein from the egg whites, and you can’t get any simpler than Raw Crunch Bars. SOOOO good for refueling with a raw bar that is so natural and tasty! I discovered GoMacro Bars when I did the Low FODMAP diet and realized that they are easy on the stomach – important for pre- and post-runs. A green smoothie. 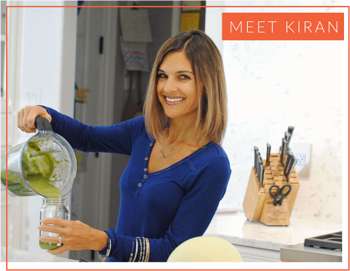 I love the recipes at simplegreensmoothies.com, but this is another super tasty and easy smoothie recipe, too. Yogurt and fresh berries. Though I’m lactose intolerant, this is a great suggestion for those who can handle dairy. I like to purchase plain yogurt for my kids and sweeten it with maple syrup or honey to avoid over-loading them with sweetness. One of my daughters is dairy-free and she enjoys coconut yogurt which makes a great alternative, too. Since everyone’s body is different, find out what works best for you. Maybe you need to wait a few minutes after finishing your run before you aim to replenish. Or perhaps you are starving, and are craving foods right away. The distance and intensity of your run are both factors which will also impact your needs. 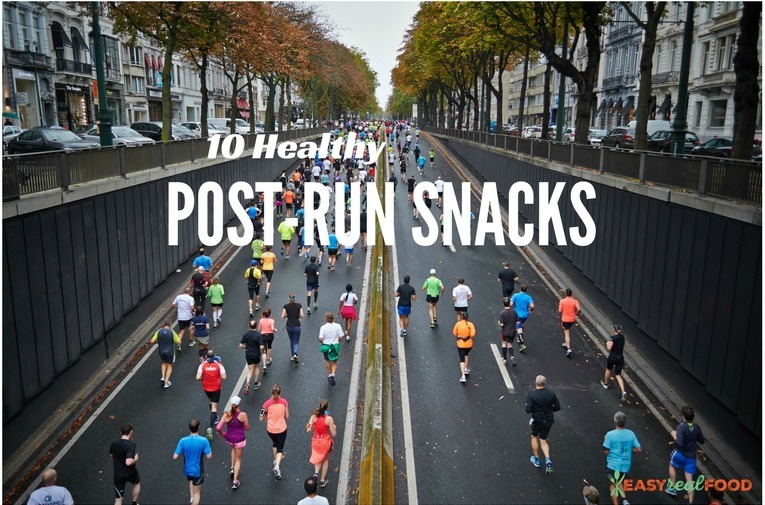 Try out some different post-run snack combinations and see which ones suit you the best. Let us know in the comments! Hi you mention that your daughter has coconut yogurt. Can you name a brand you use? All of the ones I know have sugar? Yes! This is a good unsweetened one; we sweeten with honey/maple syrup. Thank you for the post. Could you please let me know the brand of coconut yogurt. Looking for my daughter. Thanks! Yes of course! This is a good unsweetened one: http://sodeliciousdairyfree.com/products/cultured-coconut-milk/unsweetened-cultured-coconut-milk. We usually sweeten with honey/maple syrup.